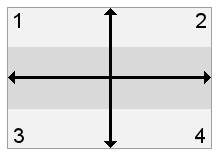 The main idea behind the Force Field Analysis technique is to identify the forces that help or hinder an organization in reaching a goal or a proposed change. 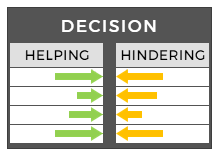 It is a decision making technique that can be used by leaders and change agents to analyze the pros and cons of any organizational decision. It is widely used in the fields of organizational change and development, business process management, and social and cultural sciences. 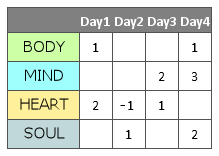 A Four Field Matrix is an effective model for planning, organizing and making decisions. 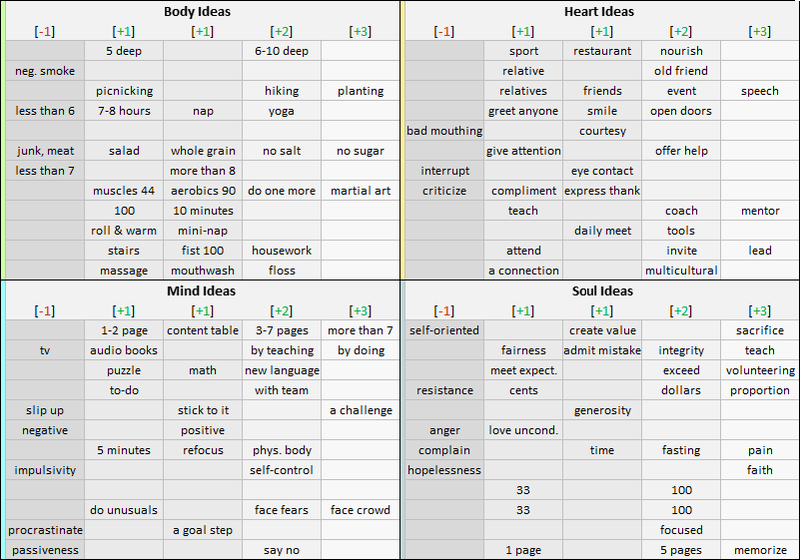 It is a two-dimensional chart that helps organize your ideas or information in a logical manner that makes sense. 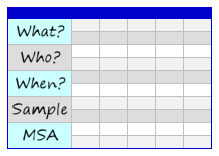 A Responsibility Log template allows team leaders to track the duties and responsibilities of their subordinates. 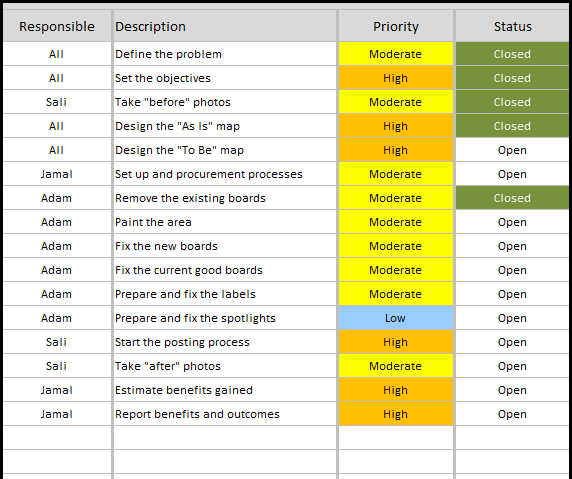 It can be used when managing projects to track the responsibilities of project team members. It is also used as a delegation log where responsibilities are delegated to specific team members. It comes with a dashboard that displays responsibility information at a glance. 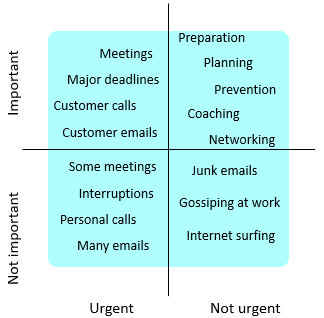 The main idea behind the Prioritization Matrix is to compare and select the best alternative from a set of options. 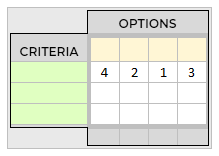 A basic matrix consists of a set of criteria options and the alternatives under consideration. 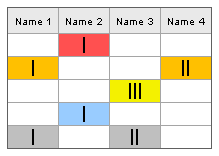 Start by placing the criteria in the left hand column and the alternatives in the top row. 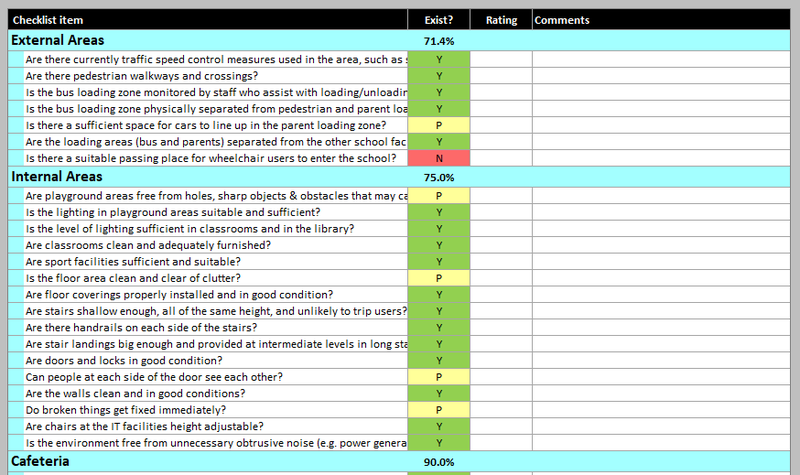 Fill the matrix by ranking the alternatives against each criteria from best to worst. Finally, look at the bottom of the table to make the best decision for your situation. 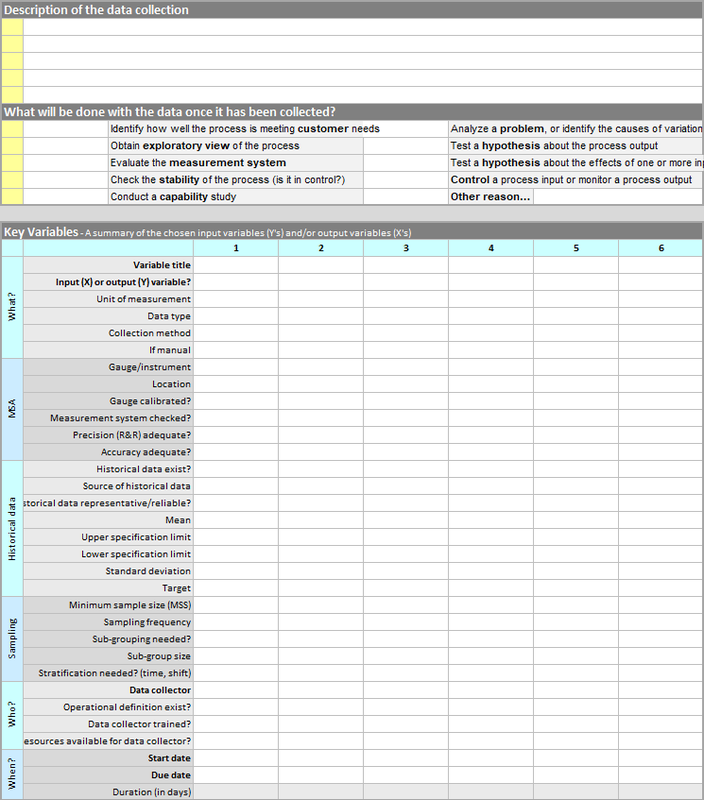 The main idea behind the Skills Matrix is to evaluate the available skills of a team. 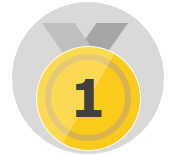 It allows to understand the skills that the team is missing which are required for the job or project at hand. 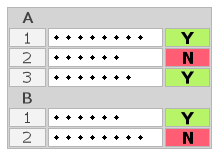 Start by listing the team members in the left hand column and the relevant skills that are required or desired in the top row. 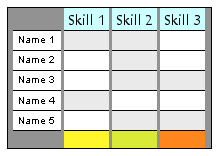 Then fill the matrix with the skill ratings of each team member. 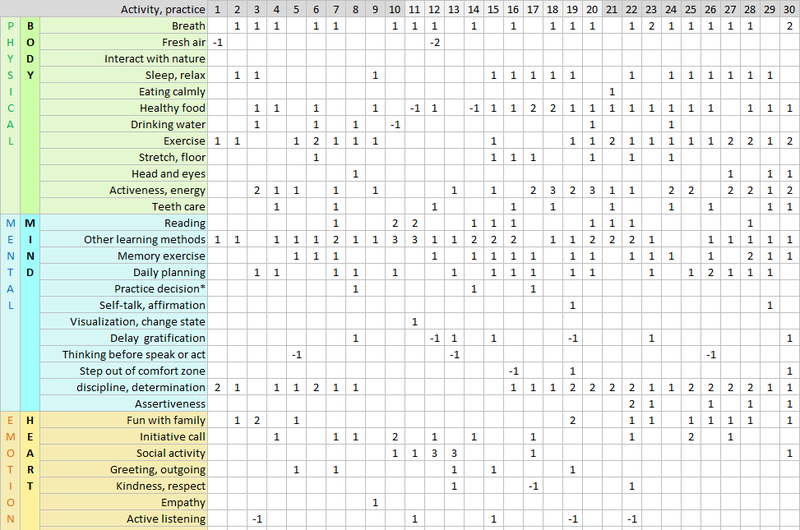 Finally, look at the bottom of the table to see what are the training needs to improve the skill levels. Whether you are a parent, a student, an employee, a community member, or any combination of these roles, evaluating yourself by the end of the day can tell a lot about the kind of person you are. Self-evaluation is an important first step in being aware of yourself, and self-awareness is the first step to personality development and leading a life of meaning and integrity. The main goal is to make you see what you are doing well and what you need to focus on in order to achieve your personal goals. This allows to identify areas in your life to improve such as health, relationships, career, finance, etc. The main reason behind the Data Collection Plan is to provide a focused approach to data collection for any given study or project. It helps specifying the objective of the data collection, what data do we need, how are we going to collect it, and who is going to collect it. 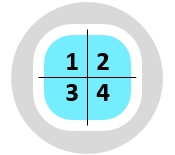 The goal is to answer questions such as whether the process is stable and capable, and whether the measurement system is accurate and capable. 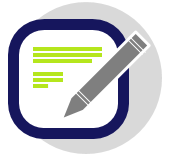 An audit checklist is a set of questions that must be answered to verify requirements or standards are being met. It compensates for the limitation of human memory and helps the observer to ensure that nothing is missed or left behind. It enables the observer to better address compliance gaps and provides an opportunity for continuous improvement. 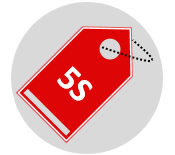 Common examples of checklists are: to-do lists, preventive maintenance schedules, safety checklists and 5S checklists.